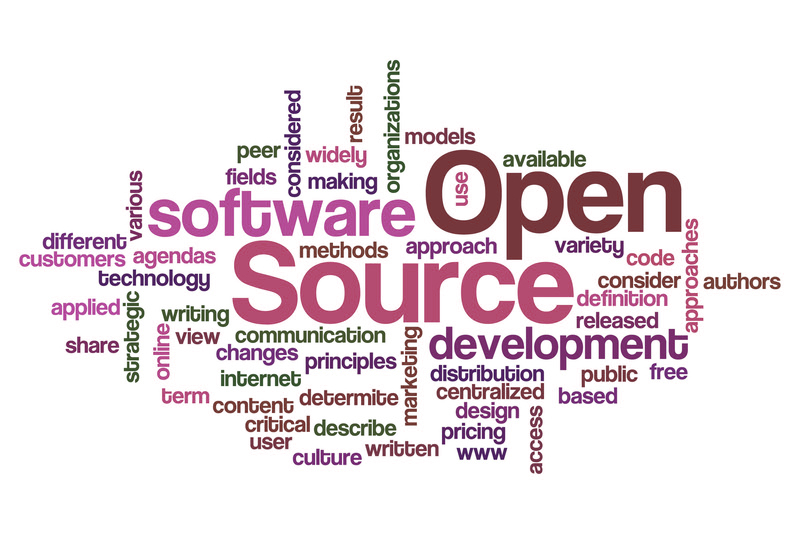 Open source refers to any program or software whose source code is made available for use or modification by users or other developers. Open source code is typically created as a collaborative effort in which programmers improve upon the code and share the changes within the community. That's why, open source softwares are usually developed as a public collaboration and made freely available. A certification standard issued by the Open Source Initiative (OSI) that indicates that the source code of a computer program is made available free of charge to the general public. When programmers can read, redistribute and modify the source code for a piece of software, the software evolves. Open source sprouted in the technological community as a response to proprietary software owned by corporations. Source Code - The program must include source code, and must allow distribution in source code as well as compiled form. The source code must be the preferred form in which a programmer would modify the program. Free Redistribution - The license shall not restrict any party from selling or giving away the software as a component of an aggregate software distribution containing programs from several different sources. The license shall not require a royalty or other fee for such sale. Integrity of The Author's Source Code - The license may restrict source code from being distributed in modified form only if the license allows the distribution of "patch files" with the source code for the purpose of modifying the program at build time. The license must explicitly permit distribution of software built from modified source code. Endeavor - The license must not restrict anyone from making use of the program in a specific field of endeavor. License Must Not Be Specific to a Product - The rights attached to the program must not depend on the program's being part of a particular software distribution. If the program is extracted from that distribution and used or distributed within the terms of the program's license, all parties to whom the program is redistributed should have the same rights as those that are granted in conjunction with the original software distribution. The process of eliminating bugs and improving the software happens at a much quicker rate than through the traditional development channels of commercial software as the information is shared throughout the open source community and does not originate and channel through a corporation's research and development cogs. Here are the some Successful Open Source Projects - Apache Web server, Linux, GNOME etc. So, Why do people prefer using open source software? Control - Many people prefer open source software because they have more control over that kind of software. They can examine the code to make sure it's not doing anything they don't want it to do, and they can change parts of it they don't like. Learn from it - People like open source software because it helps them become better programmers. Because open source code is publicly accessible, students can easily study it as they learn to make better software. Stability - Many users prefer open source software to proprietary software for sure their tools won't disappear or fall into disrepair if their original creators stop working on them. Security - People prefer open source software because they consider it more secure and stable than proprietary software. Because anyone can view and modify open source software, someone might spot and correct errors or omissions that a program's original authors might have missed. So, how many open source software do you used in your daily life, please comment below. Thank you!